This past May, the EHR company paid $155 million to settle a lawsuit brought by the Department of Justice. The government claimed that eCW made false claims in order to obtain certification under the American Recovery and Reinvestment Act’s Electronic Health Records Incentive Program so that their customers could receive reimbursements for their “meaningful use” of EHR or EMR systems. By knowingly falsifying “meaningful use” certification, eCW caused its customers to submit fraudulent incentive payments to the government, which caused the government to pay incentives to companies that did not meet the “meaningful use” requirements. eCW should be responsible for any costs associated with its customers’ inadvertently false submissions for incentive payments, including costs associated with government audits. eCW’s false claims also create real questions about the capability of eCW’s EHR Suite and their other products. If eCW lied about meeting meaningful use certification, what else did eCW falsely claim about their products? Many customers feel they were promised functions or features that did not work or did not exist. Examples include issues with recording diagnostic imaging orders, batch downloads of data, checking patient drug formularies, e-prescription features of the software, audit log requirements, and data portability requirements, among others. Not only were customers affected by these false promises, but customers’ patients have suffered as well. Unfortunately, eCW’s inadequate products and false claims are only the beginning of the problems suffered by customers. Customers were required to deal with eCW’s terrible customer service, which often provided no help or failed to even understand the problem the customer was experiencing. Some customers were told they needed to pay $25,000 just to receive patient data files after trying to cancel their services with eCW. In a Healthcare IT News article, eClinicalWorks spokeswoman Bhakti Shah stated, “Customers own the patient data. 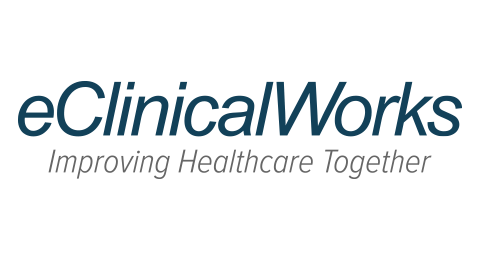 Anytime a customer cancels, eClinicalWorks offers the option to transfer the data on an eCW supplied or customer-provided hard drive.” Despite their claims to the contrary, eCW has not followed their own policies for transferring patient data and has treated their customers like anything but “partners” by holding their patient data hostage. Accurate and usable electronic medical records are immensely important for providers and patients. The problems created by eCW should not be part of the experience. If you have suffered similar problems, you should look into hiring an attorney to get back your money. For its part, the national Plaintiffs’ firm Cafferty Clobes Meriwether and Sprengel LLP is investigating eClinicalWorks behavior, and would be to discuss any potential claims you may have.